Identification problems do not exist, because there is a KYC.LEGAL. From November 29, 2017 to March 1, 2018, the ICO of the project KYC.LEGAL passes. The project is very necessary and promising for any crypto-investor, so I propose to study it with me. More and more often in our life, a civilized person is faced with digital money, with the virtual world, with blocking technologies. The number of holders of crypto currency is growing every day, which we can observe personally. And the digital assets and wallets on which they are stored, and the exchanges on which they are sold and bought are susceptible to fraudulent attacks. As the world becomes digital, more and more service providers need to verify identity data – from small enterprises to large organizations in dozens of industries, there is a need to improve identification processes and ensure reliable data protection. Increasingly, blockchain users have to pass a KYC check (Know Your Customer). But everyone arranges this check in their own way. And this is always problematic for users, it takes a lot of time, often there are problems with joining a KYC questionnaire of a scanned copy of the document. Having studied this problem, the project team KYC.LEGAL came to the conclusion that blockchain technology, using the decentralized data register, is capable of solving the problems of the KYC process. Decentralized data registers allow you to store any data, including identification data. The KYC.LEGAL platform includes the deployment of a set of automated services based on decentralized Blockchain technology. They are divided into two types: self-identification and verification by certified agents. Self-identification, or self-verification of personal data: KYC.LEGAL allows the user to verify the data provided by a simple code generation process to verify the identity of the user. Verification through certified agents: in many cases, verification of KYC requires that a third party – a certified agent – confirm the identity of the user. 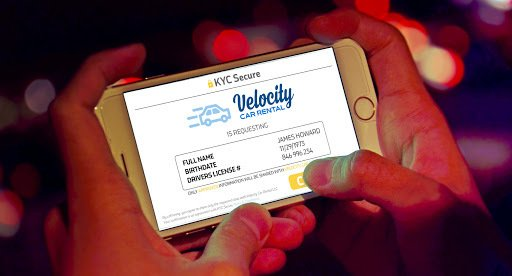 KYC.LEGAL solves this problem by creating a global network of trusted licensed agents ready to provide on-demand verification within 30 minutes of your request, arriving wherever you are. To carry out identification by conducting a KYC check on the KYC.LEGAL platform, a KYC token, compatible with ERC-20, has been created. The KYC token can be used in two ways. The first is the traditional “passive” regime, meaning that any holder of tokens-can store them in a purse or be exchanged on a crypto-exchange market. The second is the “active” or “stack” mode, designed for active and novice service providers. The token holder can create its own Stack through the secure profile on the KYC.LEGAL platform and store the tokens there. After the tokens are placed in the Stack, the token holder activates the referral link associated with its Stack. To promote the Stack, the token holder can place this link on any digital resource (on the website, on social networks, e-mail and text messages, etc.). Inside its Stack, the holder of the token can establish the distribution of income among themselves and users that will be verified through its referral link. Verification costs from $ 10 to $ 50 per user, depending on location and other factors. 50% of the total amount goes to pay for the services of a certified agent, verified by KYC.LEGAL, which completes the verification. The remaining 50% is distributed between the holder of the token and the user (in the form of a discount for the service) in accordance with the distribution coefficient established by the owner of the token. Users are encouraged to choose holders of tokens, providing favorable conditions. In turn, token holders are encouraged to spend a lot of cheap verification, rather than a few expensive ones. Thus, crypto-exchanges, Internet providers, advertising agencies, advertising specialists and other service providers with similar income generation models will be able to get the most benefit by becoming an “active” KYC token holder, attracting users and developing the ecosystem of blockages. By creating their own revenue streams, attracting and verifying new users, “active” token holders will thereby increase the cost of the KYC token, which in itself will bring some benefit to the holders. Therefore, I invite you to join the future incomes of the KYC.LEGAL platform by purchasing the KYC tokens on ISO. Tokens are sold with a bonus that changes every week. In the period from January 17 to January 24, the value of the KYC token is $ 1.75. Each week, the token increases in price by 10 cents. We accept ETH, BTC, FIAT for payment.